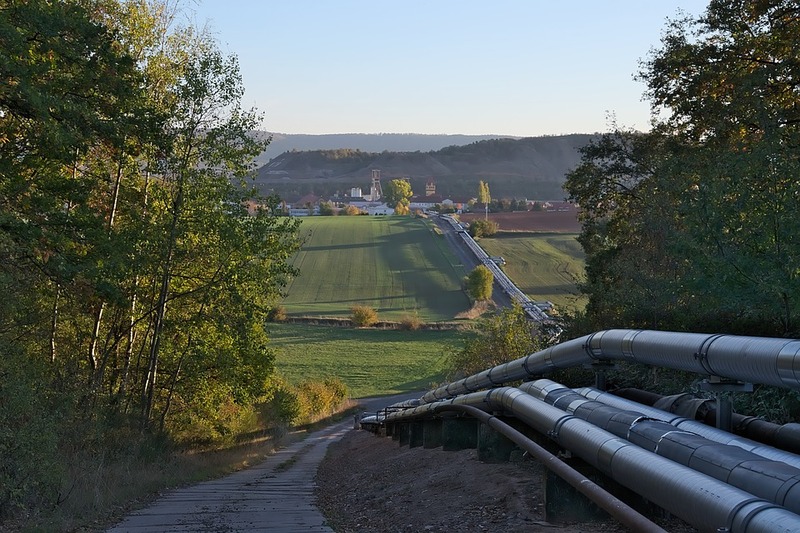 If you are not in the pipeline industry, pipe specifications can seem like a daunting task to understand. Take a look at our light-hearted view on pipe specifications! Bars in the Veltins-Arena, a major football ground in Gelsenkirchen, Germany, are interconnected by a 5 km long beer pipeline. Thor Pipeline Beer (photo by Arseny Chernov) In Randers city in Denmark, the so-called Thor beer pipeline was built. Originally copper pipes ran directly from the brewery and, when in the 90’s the brewery moved out of the city, Thor beer replaced it as a source with a giant tank. Liquids and gases are transported in pipelines. Substances include sewage, slurry, water, beer and notably crude petroleum and refined petroleum product including fuels: oil, natural gas, and biofuels. So, now you have a good overview of the definitions, it is time to look into the pipe specifications. It is good to remember that all pipe is to be made of a long hole surrounded by metal or plastic centered around the hole. All pipe should be hollow throughout the entire length; do not use holes of different length to the pipe. The ID (inside diameter) of all pipe shouldn’t exceed the OD (outside diameter), otherwise the hole will be on the outside. All pipe should be supplied with nothing in the hole, so that water, steam, etc. can be put inside at a later date. It is vital to remember that all pipe should be supplied without rust – this can be more readily applied at the job site. Note, some vendors are now able to supply pre-rusted pipes. If available in your local area, this product is recommended as it can save you a great deal of time at the job site. All pipe over 500ft (150m) in length should have the words “LONG PIPE” clearly painted on each side and end so that the contractor knows it is a long pipe. Also, pipe over 2 miles (3.2Km) in length must have the words “LONG PIPE” painted in the middle to ensure the contractor does not have to walk the entire length of the pipe. This determines whether or not it is a long pipe or a short one. Additionally, all pipe over 6ft (1.83m) in diameter must have the words “LARGE PIPE” painted on it, so the contractor doesn’t mistake it for small pipe. Flanges must be used on all pipe. They must have holes for bolts, quite separate from the big hole in the middle. Another thing to take into consideration is that when you are ordering 90 or 30 degree elbows, be sure to specify left-hand or right-hand, otherwise you will end up going the wrong way. It is also vital to specify to your vendor whether you want level, uphill or downhill pipe. If you use downhill pipes for going uphill the water will flow the wrong way. All couplings should have either right-hand or left-hand threads, but do not mix the threads, otherwise as the coupling is being screwed on one pipe, it is being unscrewed from the other. All pipes shorter than 1/8 (3mm) are very uneconomical in use requiring many joints. These are generally known as washers. It is also important to remember that the joints in pipes for piping water should be water- tight. Those in pipes for compressed air, however, need only to be air-tight. Lengths of pipes may be welded or soldered together, but this method is not recommended for concrete or earthenware pipes. Finally, you should bear in mind that other commodities are often confused with pipes. These include conduit, tube, tunnel and drain. You should only use genuine pipes to ensure the job is done to a high standard. At PCES we are renowned worldwide suppliers of pipe handling, preparation, alignment, cutting and bevelling machines. We also stock a wide range of welder protection, welding supplies and general tools. We supply international companies in the construction, petrochemical and pipeline industries. As well as pipeline welding supplies we stock a range of pipeline construction equipment including welding power tools. PCES Limited offer the solutions to make jobs more accurate and more efficient.